The great Gothic cathedrals of Europe are among the most astonishing achievements of Western culture. Evoking feelings of awe and humility, they make us want to understand what inspired the people who had the audacity to build them. This engrossing book surveys an era that has fired the historical imagination for centuries. 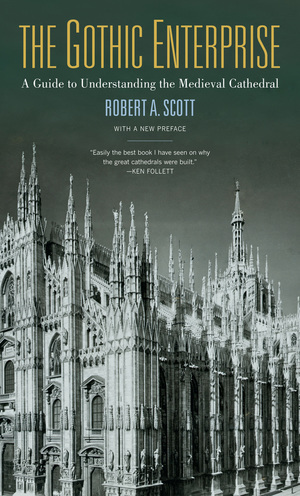 In it Robert A. Scott explores why medieval people built Gothic cathedrals, how they built them, what conception of the divine lay behind their creation, and how religious and secular leaders used cathedrals for social and political purposes. As a traveler’s companion or a rich source of knowledge for the armchair enthusiast, The Gothic Enterprise helps us understand how ordinary people managed such tremendous feats of physical and creative energy at a time when technology was rudimentary, famine and disease were rampant, the climate was often harsh, and communal life was unstable and incessantly violent. Scott’s narrative offers a wealth of fascinating details concerning daily life during medieval times. The author describes the difficulties master-builders faced in scheduling construction that wouldn’t be completed during their own lifetimes, how they managed without adequate numeric systems or paper on which to make detailed drawings, and how climate, natural disasters, wars, variations in the hours of daylight throughout the year, and the celebration of holy days affected the pace and timing of work. Scott also explains such things as the role of relics, the quarrying and transporting of stone, and the incessant conflict cathedral-building projects caused within their communities. 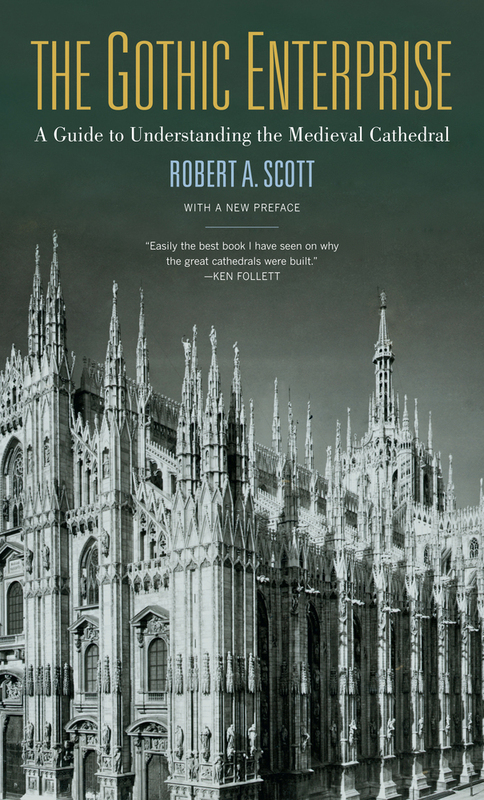 Finally, by drawing comparisons between Gothic cathedrals and other monumental building projects, such as Stonehenge, Scott expands our understanding of the human impulses that shape our landscape. Robert A. Scott is Associate Director Emeritus of the Center for Advanced Study in the Behavioral Sciences at Stanford University, and was previously Professor of Sociology at Princeton University for 18 years. He is the coauthor of Why Sociology Does Not Apply (1979); author of Making of Blind Men (1969); editor of several collections of essays about stigma, deviancy, and social control; and author of numerous articles, book chapters, and essays on related topics.